Olaf Rolving has been practicing martial arts since 1978 and has his own martial arts school. He travelled to Japan, Okinawa and Taiwan learning martial arts. He is practicing Bruce Frantzis Energy Arts since 1997 and teaching national and international seminars. 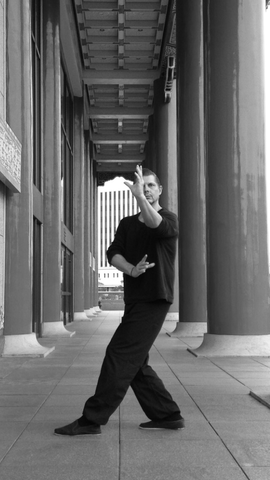 Olaf Rolving is teaching regular weekly classes and seminars at Zendokan in Mülheim a.d.Ruhr and national and international Tai Chi, Qi Gong, Ba Gua seminars in other parts of Germany and abroad. You can check out his teaching schedule on his website.